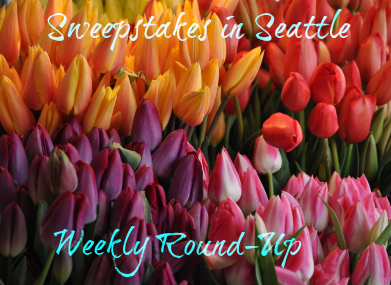 Sweepstakes in Seattle Weekly Round-Up 6/17 – Win $10,000, a trip to Walt Disney World, gift cards & more! Happy Father’s Day! I hope you are celebrating dads everywhere. At my house, we are celebrating me, because today is my birthday! My poor hubby, he misses out on some of the Father’s Day fanfare because of birthday festivities. Enjoy the round-up this week and enter, enter, enter – maybe you’ll win a prize perfect for dad! Let me know if you won a prize recently and I’ll share it on the next weekly round-up! Congratulations, enjoy your prize! Did you win a prize? I’d love to hear about it and share your winning story right here on the weekly round-up, just leave a comment on the blog.